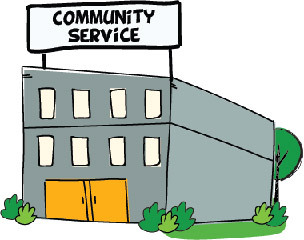 Community services are the backbone of a supportive, healthy community. Accessing community services in the Georgian Bay Area provides citizens with the opportunity to become active members within the place they call home and generate a lasting, positive impact on society as a whole. The South Georgian Bay community has many organizations whose primary purpose is to help their fellow residents in overcoming a variety of health and socio-economic barriers. Some of these support systems address developmental disabilities, mental health, employment services or supported living programs. If you’re interested, volunteering your time can help the overall well-being of the people who are each an integral part of this healthy, caring community! Give back to the community! Consider volunteering with your family for a community garden program and supply the community with fruits and veggies. Advocate for healthy food items at the camps, events, and programs your children attend. Consider removing unhealthy options from vending machines or front desk freebies by promoting options like apples, oranges, and veggies. Encourage staff to role model by offering a variety of fruits and veggies, and provide healthy options! Looking for a way to keep busy and off technology? Check out the South Georgian Bay environment and join a new program or contribute to a developing project to help support a healthy community. There are many ways to get involved with the community… If you’re an animal lover consider visiting the nearest animal shelter or humane society! Enjoy activities with your children to help limit their screen time! Try new activities that work on your child’s creativity, problem solving, and cognitive development. Visit the E3 community services centre to participate in engaging activities or consider volunteering as a family to help others. Implement screensaver reminders to staff to stand up and take a break. Learn effective ways to counsel parents and children on the appropriate amount of screen time and share your knowledge regarding the importance of engaging in brain stimulating educational activities! During holiday seasons give back to your community with friends and family! By actively transporting from different services and providing individuals with healthy meals you can help to create a healthier community brightening two hearts with one smile! Active transportation will get you to the community service building you need and help you reach 60 minutes of physical activity per day! Walk, run or bike to your next appointment. Visit your closest retirement home and facilitate an activity with the residents! Consider walking appointments to help you and your client achieve the 10 000 step goal and recommended physical activity guidelines! Offer programs outdoors to help children and families stay active and adapt to different environments. Consider becoming a peer or student mentor and help another individual accomplish daunting homework tasks. Be sure to seek advice and take advantage of all community resources for yourself as well. Convince your parents to plant and grow flowers in your garden to cut and help brighten both your own and someone else’s day! Seek help from the accessible community services around you for yourself and your child/children. Join a cleanup day in South Georgian Bay! Help make the beach, trails, water, park communities more inviting for developing stronger relationships and connect with the environment around you. Market and provide awareness for clients regarding access to mental health services. Consider developing programs or creating events that family and youth are able to participate in that will positively influence their mental health. Music lessons, reading groups, or sports event may help an individual connect to a new love! Are you struggling to get along with your parents? Seek help through community resources to adopt coping skills or strategies to maintain a strong connection and develop a healthy relationship. Encourage your children to become involved in their community. Demonstrate the difference they are able to make by taking them to help at different community events or assist with running a fundraiser! Visit your local churches for access to food, clothing, and even financial assistance. Consider joining a youth group to access more resources and don’t be afraid to seek help to meet some of your basic needs. Are you looking for more resources to live a healthier lifestyle? Consider connecting with Canadian Tire Jumpstart to increase access to physical activities, youth connect programs and food access supports in South Georgian Bay. Demonstrate fairness in access to all resources. Encourage youth, families and other community members who face constraints to access appropriate services to help meet their basic needs.